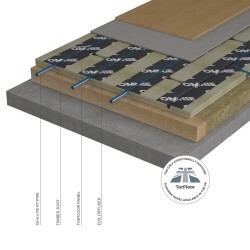 Designed as a perfect solution for retrofit projects, OMNIE LowBoard has an incredibly low installation height (from only 15mm). 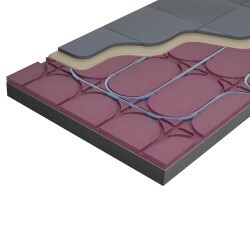 Furthermore, depending on the customers individual requirements, a variety of floor coverings can be applied on top of it. 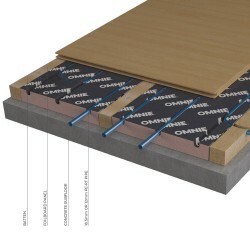 Therefore, OMNIE even brings excellent living comfort to renovated houses. 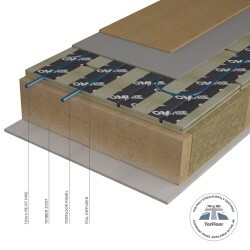 For Tile & Decorative floor finishes The LowBoard Panels will require bonding to screed or a deflection free timber floor with a minimum 6mm flooring grade ply or tile backerboard mechanically fixed over, Please refer to the Tilemaster Adhesives Ltd specification guide (IG UFH 23, see link below) or obtain specific conformation and guidance from floor finish installer or manufacturer/supplier. 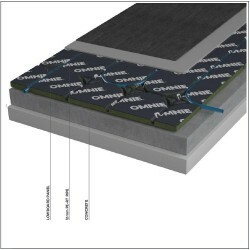 ULTRALOW Our thinnest panel at only 15mm. 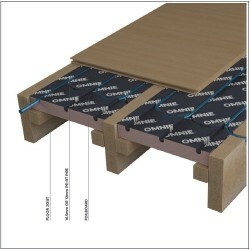 This product reduces build up to only 22mm combined with a 6mm ply covering layer. 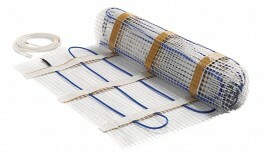 LAYFAST Speed up installation time. 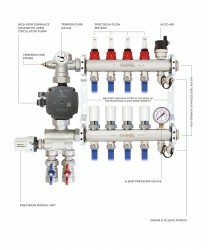 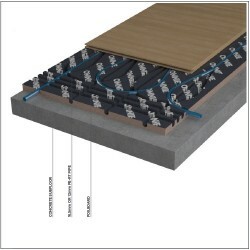 This product uses our multi-directional pipe channel system. 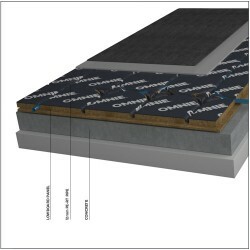 DRYSYSTEM No wet trades required, designed for dry constructions. 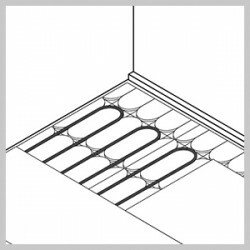 REFURBISHED BUILDING WARMED BY OMNIE UNDERFLOOR HEATING An owner of a dwelling in Hampshire/West Sussex has completed the transformation of one of its earliest buildings by installing underfloor heating, using two of the ranges manufactured and distributed by Exeter based OMNIE. 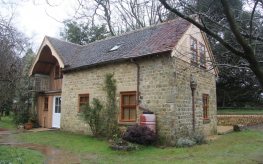 The one-time pigsty, located not far from Midhurst, derelict for a time, before work began on repairing the roof and making the stone-built structure habitable.